The Beekeeper Handbag makes for the perfect get-around-town bag, storing all your daily essentials in style. Featuring a large main compartment with four internal pockets, two external pockets and a removable base for structural support. 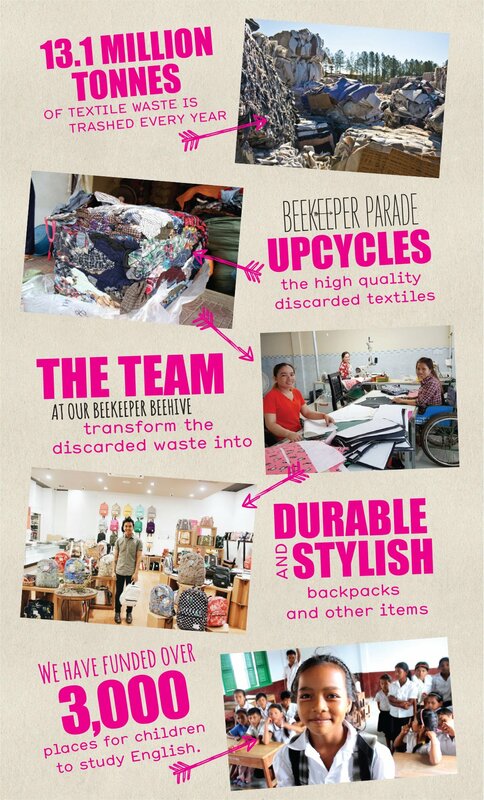 Each bag is up-cycled from end-of-roll, remnant, discarded or donated fabrics and clothing. Approximately 32cm L X 17cm W x 20cm W.